Skiweb - Made By Skiers That Love to Ski But Don't Like Carrying Skis! We always loved our ski trips but I never liked carrying my skis and poles and after many years of struggling, I decided I needed a carrier and set out to find one. I set to it, drawing a sketch on a flight home from a ski trip and within a year we started the business - the rest is history! 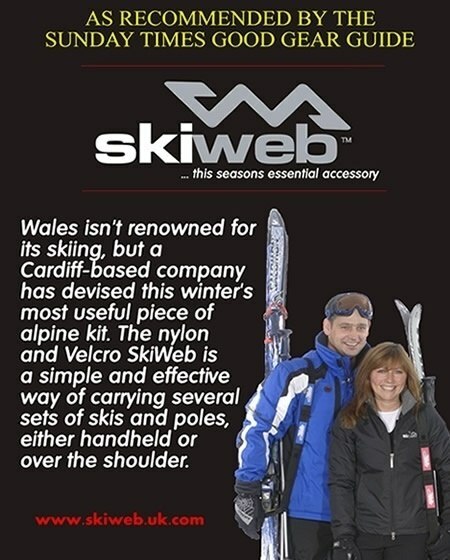 Skiweb Ski Carrier Straps have become known world wide as the easy to use and great for all the family. We still love to ski and never go with out Skiweb. It's just so handy in your pocket. You never know when you might need it, collecting hire skis, getting to the ski lift, at Apres ski or just when your in need of a rest! 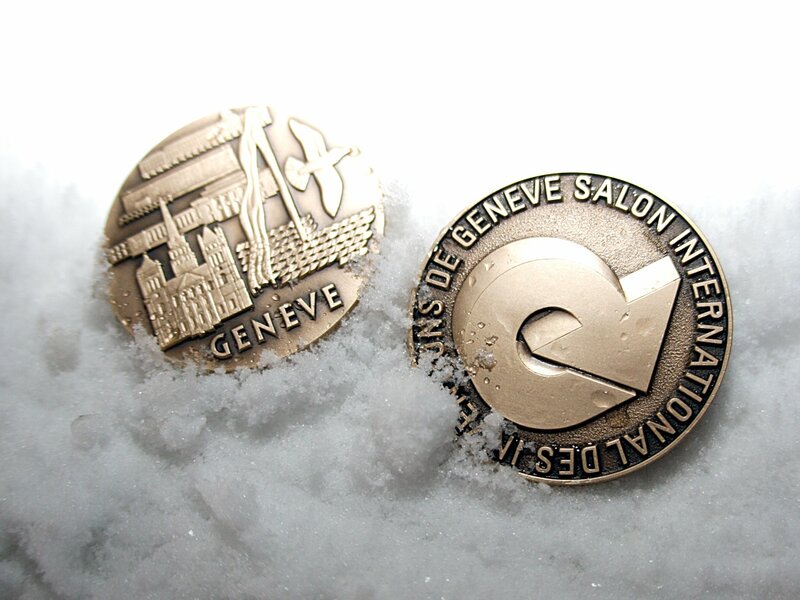 The Skiweb brand was established in 2004 followed by it's launch to the public in March 2005 when it won a award at the Geneva Inventions Show. This is because of its innovative design and easy to fold feature. Since then our online store and Amazon inventory has expanded and now includes products for both skiing & snowboarding under the Skiweb trademark. Are you feeling like I did? 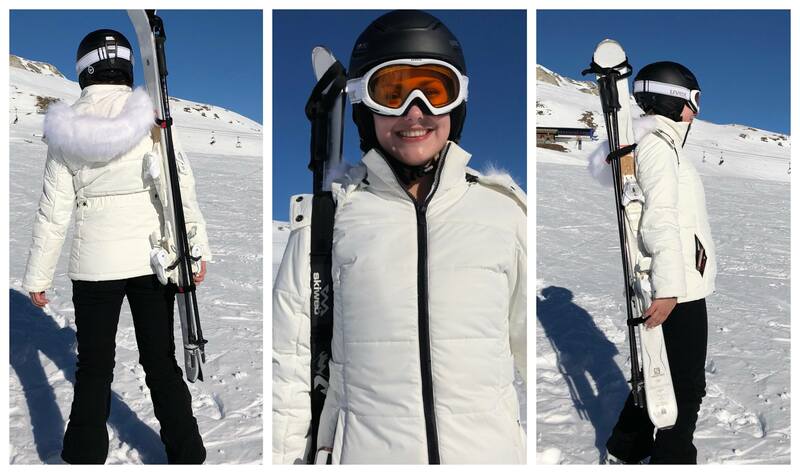 Feed up with trying to walk, balance and carry skis and poles, while trying to look the part of a confident skier! Go on admit it, it's hard to walk in ski boots let alone when you have skis to carry. At the start of most ski holidays the drama begins, if like many people you hire your skis you then have to find a way to get skis, boots and poles back to the lodge. Children can’t carry them, parents try to carry as much as possible and there it starts. Mayhem! There are so many ways we have seen people trying to get around, couple's with one carrying skis and the other carrying the poles, poles holding the skis together, dragging skis, carrying in both hands in front of you the list goes on. And children, well it's the end of the world if they have to carry theirs, they only want to use the poles as a sword and play in the snow! Getting from A - B with skis can be difficult as not all places are ski and out, some you need to get a bus or walk. No matter how far it is, it can turn the start or end the day into a nightmare. Our trip to Villars in Switzerland was the end a long walk each day to the lift took its toll on us and we came up with the idea of Skiweb Ski Carrier Strap. Since then I have never had to struggle carrying skis again. Our son is grown up now and at the age of 20 still uses Skiweb, he just doesn't understand why anyone would struggle as he has never had to! Start as you mean to go on and if you use the Skiweb ski strap children can carry their skis from a early age. Just imagine going to ski school calmly and safely with no mishaps with skis or poles! A friend of mine gave up skiing holidays, she just could not put up with the hassle of getting around with skis & poles when walking in ski boots, but since getting a Skiweb as a gift from us guess what? She is back at it and actually enjoying every moment! Since launching Skiweb in 2005 our ski carrier has proven to be one of the best carriers around and is now sold worldwide. It is an essential part of ski equipment; carry it with you in your pocket and use at any time. It will save any hassle and discomfort of carrying skis and poles and once used you won’t be able to go skiing without it, you will be thinking why did I struggled for so long!